The National Thoroughbred Racing Association (NTRA) announced today that Hagyard Equine Medical Institute, a state-of-the-art veterinary center in Lexington, Ky., has renewed its partnership with the NTRA Safety & Integrity Alliance. 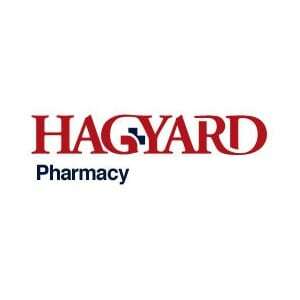 Hagyard Pharmacy also agreed to join the NTRA Advantage group purchasing program. “We are delighted to continue our close association with an organization that contributes greatly to the welfare of equine athletes,” said Mike Ziegler, Executive Director of the Safety & Integrity Alliance. Hagyard will benefit from increased exposure at racing and sales events, as well as across the NTRA’s various digital platforms. The addition of Hagyard to NTRA Advantage will allow member farms and horsemen to utilize the Hagyard Pharmacy at special rates. “By adding Hagyard Pharmacy to our roster, we continue to focus on providing more benefits and value to both NTRA members and the racetracks accredited by the Safety & Integrity Alliance,” said Bryan Pettigrew, Senior Vice President, NTRA Advantage. NTRA members that can realize savings through NTRA Advantage include racetracks, owners, breeders and trainers. Equine organizations utilizing the Advantage program extend well beyond the realm of Thoroughbred racing. Participating organizations include the American Quarter Horse Association, the U.S. Equestrian Federation, the U.S. Trotting Association, Harness Tracks of America, the American Paint Horse Association and the U.S. Polo Association. In 2012, the NTRA Advantage program topped the $100 million mark in savings to the horse industry since the inception of the NTRA’s group purchasing arm in 2002. In all, NTRA Advantage sales of goods and services since 2002 exceed $600 million. NTRA Official Suppliers include such nationally known vendors as John Deere, Valvoline, UPS, Sherwin-Williams, OfficeMax and Hagyard Pharmacy. Located in Lexington, Ky., the veterinarians of Hagyard Equine Medical Institute have dedicated themselves to maintaining the health and well being of horses since the institute’s inception in 1876. Today, more than 50 such veterinarians and an experienced staff of support personnel make Hagyard the equine world’s premier non-university veterinary group. Complementing the veterinary service of Hagyard Equine Medical Institute is Hagyard Pharmacy, which was recently named the “Official Equine Pharmacy of the USEF.” Hagyard Pharmacy offers the convenience of online shopping at www.hagyardpharmacy.com, delivering the highest quality equine medications and health products, along with every day over-the-counter items. The NTRA is a broad-based coalition of horse racing interests consisting of leading Thoroughbred racetracks, owners, breeders, trainers, horseplayers and affiliated horse racing associations, charged with increasing the popularity of horse racing and improving economic conditions for industry participants. The NTRA has offices in Lexington, Ky., and New York City. NTRA press releases and additional information can be accessed via NTRA.com, Twitter (@ntra) and Facebook (Facebook.com/1NTRA).